Applegarth Engineering are MSC approved solar panel installers in Cheshire. We have been providing solar panel design and installation services for domestic and commercial clients for over 15 years. If you have a solar panel enquiry please call our experts on 0151 649 8350. You can also email us at info@applegarth.co.uk. Solar panels are devices that convert the suns rays into electricity. 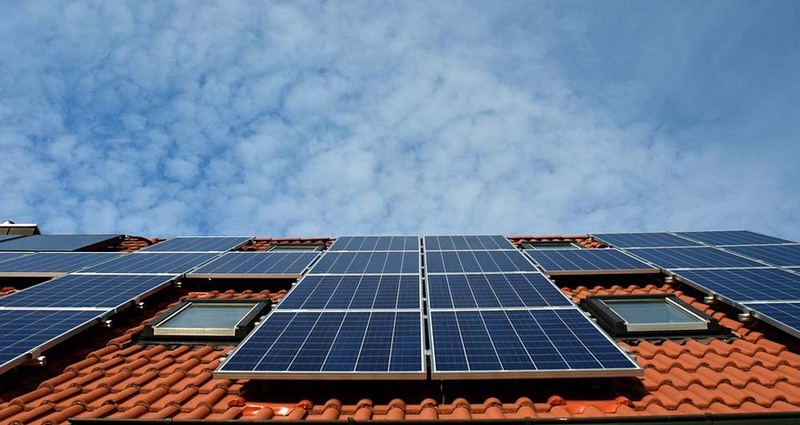 The electricity produced by solar panels can be used to power homes and businesses and reduce the amount of electricity they use from the grid. This leads to a reduction in energy bills. Solar panels are built up of a large collection of solar cells, which are spread over a large area. The solar cells work together to generate enough electricity to be useful. The more light that hits the solar cell the more electricity it can generate. The feed-in-tariff is a government scheme put in place to help increase the use of renewable energy technologies such as solar panels. The scheme is available to homeowners and community groups in England, Scotland & Wales. The scheme pays you a set rate per kwh of electricity that is produced by your solar panels. You then get an additional rate for any extra electricity your solar panels generate and export back to the national grid. Payments are usually paid quarterly from your energy supplier. If you are interested in our solar panel installation service, or have any questions, call us on 0151 649 8350. You can also email us at info@applegarth.co.uk. We install solar panels in Cheshire for homeowners and businesses.